We know there is no straight forward way to send or share data from desktop PC to phone or table. 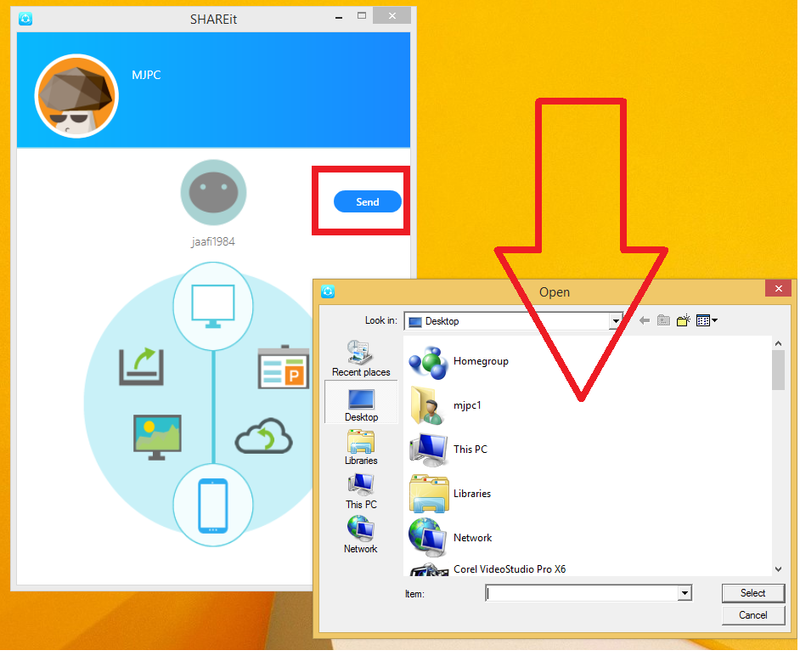 But I will show you simple way to send data from Windows PC to Android phone. The app called “Shareit” by using this app you can easily send your photo, music, video, data file or any type of files from your desktop PC to any android device. Just follow these simple steps. 2. 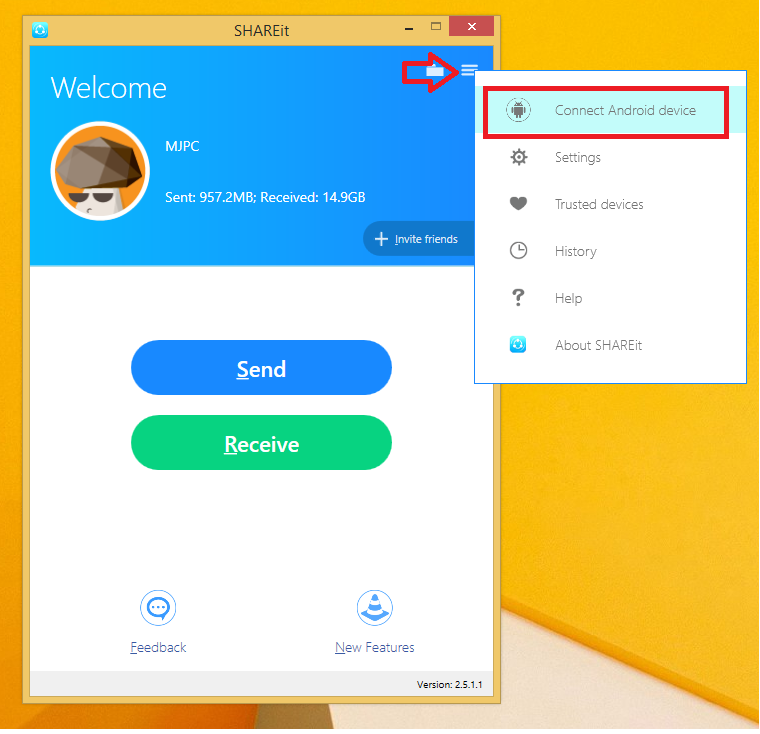 Download and install shareit into your desktop PC. 4. 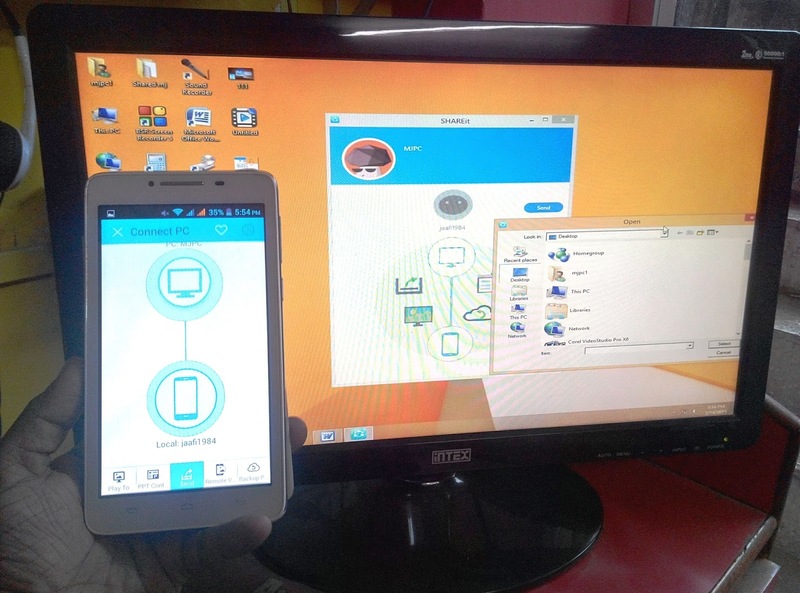 Shareit setup is done in both desktop and android device. 6. 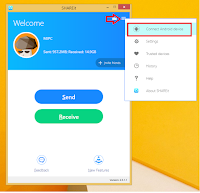 In your phone open shareit and tap on “Connect PC” you will see your pc name, just tap on that. 7. 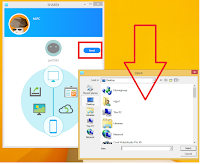 In your desktop-shareit click on “send” select your files, and your file will be send to your android phone or tablet.